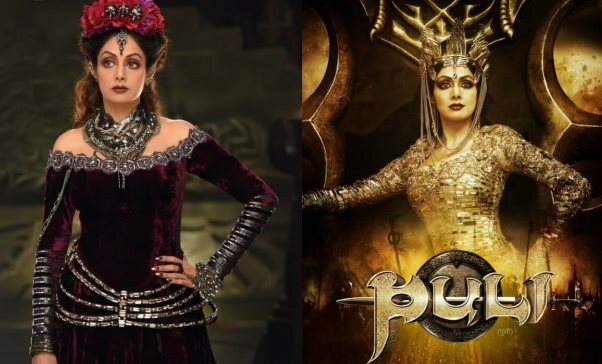 The actress Sridevi, who made a Kollywood comeback with Vijay's Puli, has filed a complaint against Puli Producers over the non-payment issue. Actress Sridevi made a comeback to Tamil films after more than 20 years with the Puli, but is now caught in a tangle over her salary for the film. Sridevi had filed a complaint at the Mumbai producers' council stating that she was yet to be paid Rs 50 lakhs for the film. However, the producers of 'Puli' are reportedly extremely upset over this claim. They issued a statement to the press on Monday in which they clearly specified the remuneration paid to her. Producers Shibu Thameens and PT Selvakumar have stated that the income tax raids and the losses incurred in the film have left them strapped for cash. They now want an amicable solution to the issue. The producers state that they had agreed to pay Sridevi Rs 3 crore as salary (Rs 2.7 crore + Rs 30 lakhs service tax). However, Sridevi's husband Boney Kapoor had demanded several crores as remuneration for the Telugu and Hindi releases as well. They say they explained to him that the dubbing rights belonged to the production house, but agreed to pay Rs 15 lakhs for the Telugu dubbing rights and gave him 20% of the Hindi satellite rights. The Puli producers further allege that Boney Kapoor was also paid Rs 55 lakhs from the Hindu distributor of the film. Thus, they state that Rs 20 lakhs of the money that had to be given to the producers' was in fact given to Sridevi. In effect, they are stating that they have paid Sridevi over and above the agreed compensation. It was on Boney Kapoor's insistence that the producers released the film in Hindi. He apparently told them that she had a good market in Hindi. They spent Rs 1 crore on this but didn't recover it. Sridevi also demanded that designer Manish Malhotra work on her costyumes for the film. Thus, the producers had to shell out Rs 50 lakhs for him as well. It looks like the actress wanted a separate marketing designer for the Hindi release and they spent Rs 8 lakhs for this. The letter released to the press also states that the director Chimbudevan agreed to complete the film in 100 days, but completed it in 150 days. This means they exceeded the budget on the film as well. Since the movie got delayed, they say they incurred further losses. Puli was also not granted a tax exemption, as a result of which they had to pay Rs 4.5 crore. Actors Vijay, Shruti Haasan and Sudeep had small payments pending from the producers, but they are said to have understood the situation and waived off the payment. Sources say that the producers were grateful to the three stars for this gesture. Sources add that the producers had explained the situation on the phone to Boney Kapoor earlier and that he had reportedly said that things were ok. So they were really surprised when they received the complaint. The producers' are allegedly upset and since Sridevi decided to file a formal complaint, they felt they had to issue a press release to explain the situation and the reality, say sources.